Homestead, FL, June 1, 2002. A poor photo due to distance and extreme magnification (over 100x). 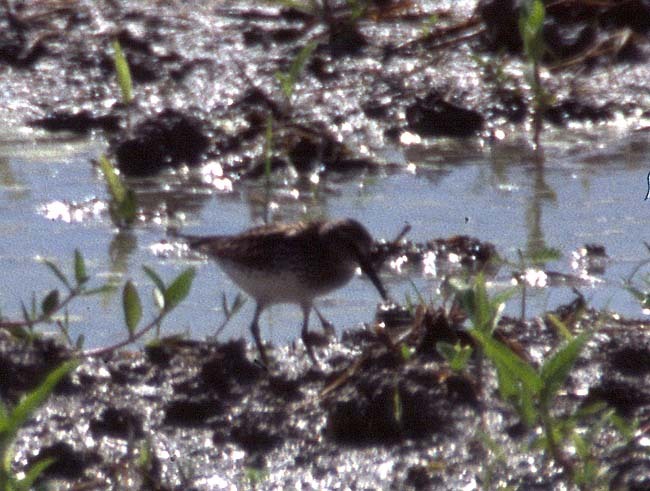 You can still see the flank streaking and hints of the long wings of a White-rumped Sandpiper.